Our security services provide clients the peace of mind that they are protected and able to combat any issues that may arise. 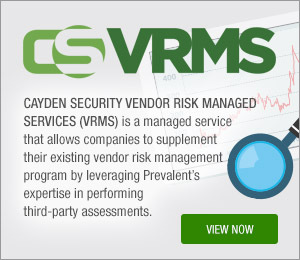 The Cayden Security Solutions team of experienced and certified consultants have the skill set and tools to ensure that your organizational security, compliance and risk management needs are met. Whether you’re looking to increase time-to-value on a tool or solution set, building a program to meet organization demands, or seeking insight or executive-level strategy, Cayden Security Solutions can fulfill your requirements.